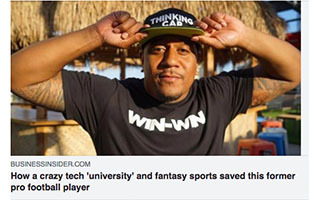 Mike Tauiliili Brown is the founder and CEO of Win-Win, a platform powered by gaming and giving, enabling pro athletes and influencers to monetize their fanbase and helping brands engage with end consumers more effectively #WinWin. 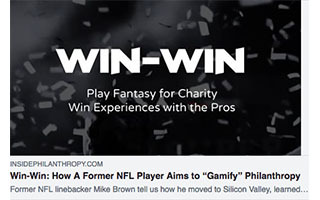 As a former pro athlete, Mike intimately understands the pain points for influencers looking to leverage their platform, and thus built a company to make that process seamless. Mike has secured funding from top investors and successfully completed premier Silicon Valley accelerator program, 500 Startups. After launching Win-Win’s initial beta platform in late 2016, Mike and the Win-Win team are now bringing the platform to the masses! 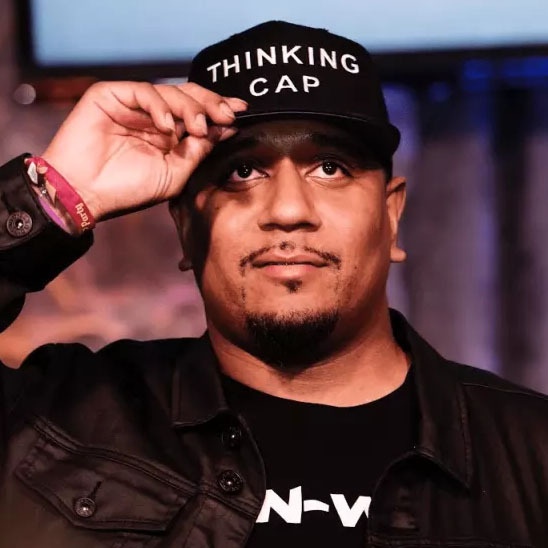 Prior to starting Win-Win, Mike led the mid-market growth team at Kiip, a $32M venture-backed mobile advertising tech startup, which provided a deep understanding for brands and their advertising objectives. 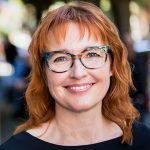 Mike was first introduced to the Silicon Valley tech startup scene in 2013 when he finished #1 in the inaugural cohort for Draper University, a 9-week entrepreneurship program developed by leading venture capitalist Tim Draper of DFJ. Before moving to Silicon Valley full time in 2014, Mike taught himself to code multiple languages and developed a design skill set, which would help him in his transition from tackling to tech. Mike was a 2-time All American linebacker at Duke University where he earned a Public Policy degree before graduating early in December 2008. 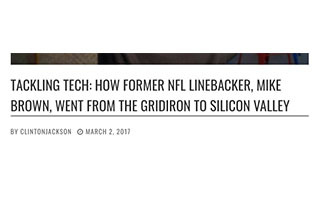 Mike went on to spend 4 years playing professionally, with his first stop being in Indianapolis where he was a linebacker for the Colts. Ups and downs are inevitable throughout life, but the difference between winners and losers in that winners never lose, they only learn! Mike dives deep with the audience to share his outlook and strategies on handling both wins and losses in life. The path to one’s desired success or life goal is never a straight line, and will always involve several twists and turns. Furthermore, your desired success and goals tend to change as your exposure and life experiences increase. Mike takes the audience on a journey through his life, highlighting the many moments he chose motion over direction, leading to a life he couldn’t have imagined! 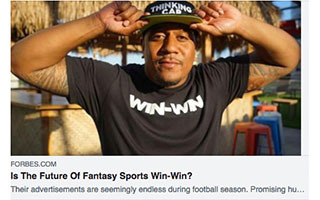 Forbes: Is the Future of Fantasy Sports Win-Win?